Mayur D. Panwala from Valsad, B.Com Graduate. IT HARDWARE AN NETWO.. IT & ADMINISTRATION EDP/SYSTEMS MANAGEME..
are one of expert skill area's of Mayur D. Panwala . 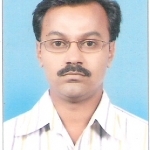 Mayur D. Panwala is working in IT Hardware industry.